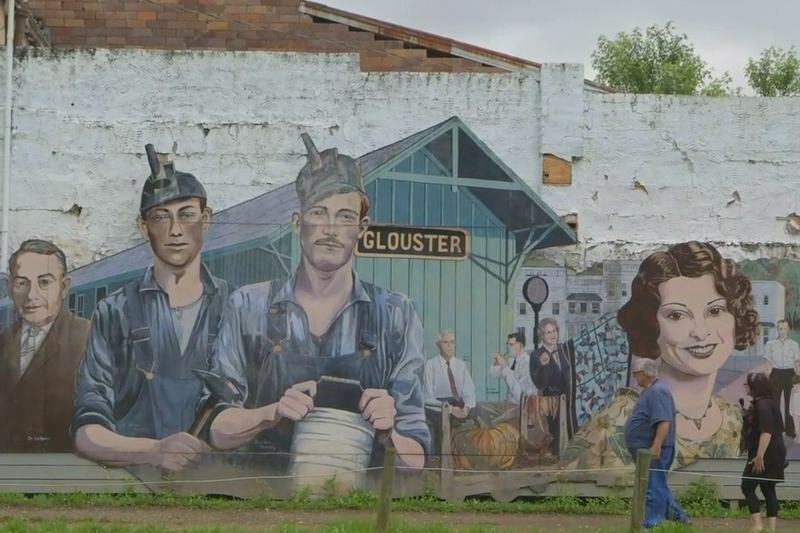 Brooke Gladstone and Jack Frech in front of a mural in Glouster, Athens County, Ohio. 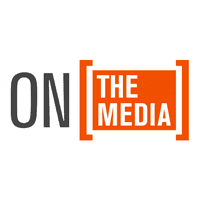 BROOKE GLADSTONE: Most episodes of On the Media eventually are overtaken by events but not our episodes about poverty because, of course, absolutely nothing has changed since they were first broadcast. MATTHEW DESMOND: We need to have a frank conversation about the way that our lives directly contribute to poverty in America. JACK FRECH: The idea that poor people are lazy, there is no misperception about poor people that is greater. There needs to be a reason why are we unwilling to share with them. NATASHA BOYER: And I just kind of looked at him, and he’s like, this is yours. STUART VARNEY: - you marry and have children, in that order, okay, you do all of those things, you play by the rules, you will make it in America, and luck has nothing to do with it. PROF. ROBERT FRANK: That’s not true, sir. BROOKE GLADSTONE: Join us to bust some poverty myths, after this. From WNYC in New York, this is On the Media. Bob Garfield is out this week. I’m Brooke Gladstone. About a year and a half ago, we produced a series dissecting the myths about poverty that empower our nation to be parsimonious to the poor, “for their own good,” this despite the fact that according to a new paper just released by the University of Chicago the nation’s top five anti-poverty programs, Social Security, Supplemental Security Income, the program commonly known as welfare, housing assistance and food stamps really do relieve deep poverty. So why is more social mobility in Canada and France? America is the land of opportunity, right? Why is there more social mobility in Canada and France? America’s the land of opportunity, right? Unh-unh [NEGATIVE], that’s delusion, a founding myth. Here’s a small part of the series that deals with the challenge of telling the story of poverty and explores one of those founding myths. BROOKE GLADSTONE: Matthew Desmond is a professor in the department of sociology at Princeton and author of Evicted: Poverty and Profit in the American City. MATTHEW DESMOND: A sociologist at Rice University, she gave a presentation a few years ago and she said, if everyone who was zoned to Houston public school district went to that school Houston public school district would have a 40% poverty rate. And then she asked the audience, do you know what the poverty rate is? It’s 80%. And then she said, and then we have the audacity to ask why these schools are failing. BROOKE GLADSTONE: In his book, Desmond makes the abstract real, telling the stories of complicated and compelling individuals in rich detail and, in so doing, he reveals poverty, not as a realm where the other half lives, not even as a lack of money but as a process, a complex social and financial interaction that strengthens the positions of the comfortable. He notes that the word “exploitation” has vanished from the debate and believes it should be reinstated. MATTHEW DESMOND: Because it's a driver of poverty today. You know, poverty isn’t just a product of joblessness. It isn't just a product of low wages. It’s also a product of really high housing costs and for-profit colleges and predatory loan operations. And I think that we just have to be blunt and clear- eyed about the fact that some people are making a pretty dollar off the pockets of the poor. And I wonder, can we stop having a conversation about laziness or not, can we stop that, and really have a frank, honest conversation about why we are weird in the world for this level of poverty alongside this much wealth? BROOKE GLADSTONE: Conversations? How many have we had over the years on the causes of poverty? READER/THOMAS PAYNE: It has dispossessed more than half the inhabitants of every nation of their natural inheritance, without providing, as ought to have been done, an indemnification for that loss and has thereby created a species of poverty and wretchedness that did not exist before. BROOKE GLADSTONE: And so, he proposed, not as a charity but as a right. READER: To create a national fund out of which there shall be paid to every person, when arrived at the age of 21 years, the sum of 15 pounds Sterling as a compensation, in part, for the loss of his or her natural inheritance by the introduction of the system of landed property and also the sum of 10 pounds per annum during life to every person now living of the age of 50 years and to all others as they shall arrive at that age. BROOKE GLADSTONE: For some reason, that didn’t take, so we tell stories everlastingly to remind ourselves of what poverty is. Poverty means that you've slipped off the knife’s edge, that a botched piece of paperwork or a bout of flu has cost you your job, then your home and finally your kids. It means you sell your plasma for bus fare. It means you don't have the money to bury your mom. Most of us haven't a clue what it means to live like that because most of us, even when the screws tighten and we gasp for breath, don't spiral down into a hell of loss upon loss, because most of us have won the good luck lottery, for a whole heap of reasons, could be race or background or just being born in the right place. Research suggests that in Salt Lake City you have roughly an 11% chance to rise from the bottom fifth income bracket to the top fifth, whereas in Atlanta you have a 4% chance, which means you don't really have a chance. But, that said, if you’re reporter like me on the poverty tour, you don't go to Atlanta. JACK FRECH: Well, right now we’re heading out to Route 50. I mean, in general, all this is, is part of the southeastern Ohio Appalachian region. BROOKE GLADSTONE: Why Ohio? Well, I went because, like Neapolitan ice cream, you get the three main flavors of poverty in a single container. Appalachia, for white, Cleveland for black and manufacturing dead zones, like Youngstown, for the rust-colored variety. BROOKE GLADSTONE: Jack Frech has spent his entire life battling to preserve aid to the poor, including 33 years as welfare director in an Appalachian county. Standing by his black SUV, he's gray-haired, bemused, verging on skeptical, and yet still game, despite having escorted countless reporters, like me, on the Appalachian leg of their poverty tour, past rusted trailers and shacks and a few creeks tinted a bright chemical yellow. JACK FRECH: …when they were setting up a coal mine somewhere and they would throw up these wooden houses in a day and they’d either be, you know, four rooms in a box shape or they had what they called shotgun houses that were maybe three rooms in a line. When I came here in the early ‘70s as a caseworker, there were hundreds and hundreds of those houses out there and most of them had electricity at that point but did not have running water. BROOKE GLADSTONE: You know he’s said all this before, some 30-odd years, the same tour, the same story. JACK FRECH: In the last 20 years, the other thing that we’ve seen is families are doubling and tripling up in these old houses. Kids are sleeping on the floor or three or four to a bed. BROOKE GLADSTONE: He’s trying to make the invisible, visible. JACK FRECH: Well, unless you have some reason to take a state road out to a county road and then a township road off the county road and a dirt road off another dirt road, you’re not going to see them because that’s where they are. And I think it lends itself to this, this whole idea that things aren’t that bad. BROOKE GLADSTONE: And he definitely disposes of that idea because now you see. The hard part, he explains, as the day fades and we repair to his airy, well-appointed home nestled in the woods, the hard part isn’t getting the media to see how bad it is, it's getting us to understand why because we kind of think we already know. JACK FRECH: You know, I think my first contact with the media in dealing with this really started back in the late ‘70s around the time I took the job as a welfare director, and one of the things that you constantly deal with in this field is that people just - if you're not poor, it’s not likely that you even know someone who’s poor and you certainly know very little about their lives. People deal in misperceptions and stereotypes. JACK FRECH: Well, I think the idea that, that poor people are lazy, there is no misperception about poor people that is greater. There needs to be a reason why are we unwilling to share with them, and the best way is to say they are poor through their own fault. We've gone so far in this country as to actually say that sharing with them hurts them, giving them help creates dependency, which somehow we don’t apply to Social Security, unemployment compensations, veterans benefits, tax breaks for mortgage payments, all the other things that everyone gets. I mean, Medicaid, which, of course, is, is welfare too, almost everyone has to go on Medicaid, and yet, no one looks down on them because they got old and had to go into a nursing home and could never possibly afford the cost to keep them there. So we’re very specific about who we decide is on welfare and who, who isn’t, and we overlook the fact that, you know, the average length of time of people on welfare is about two years. I mean, you know, again, it’s all in the matter of the way we label things. BROOKE GLADSTONE: So you talked about this prevalent myth within the context of your first brush with the media. Tie that together. JACK FRECH: Well, I think for me the way to advocate for poor people was to shine a light on them, to shine a light on them to show that this could happen to any of us. I think, though, that, as time went on, I, I became much more aware of how much of this had to do with racism, how much of this had to do with sexism, how much of this had to do with other issues that had nothing to do with someone's ability or how hard they wanted to work or didn’t want to work. I mean, you know, you can take almost the same stereotypes that we apply to poor people and get away with now and you can see how for hundreds of years we applied those same stereotypes to black people. BROOKE GLADSTONE: So he worked with big media to undermine those stereotypes over and over again. We see the autographed pictures of network news stars, the snapshots and thank you notes scattered all over his house. Watching the videos of Jack's network appearances, you can literally see him age, each time a little grayer, a little stouter, but always the same passion, in ‘94 with Deborah Amos on ABC News Nightline. JACK FRECH: People here are able to find shelter in all kind of places, in, you know, garages and small campers and trailers and things like that. Some of the places don't have running water. Some of them don’t have electricity. BROOKE GLADSTONE: In ’95, with Chris Furie on Nightline. CHRIS FURIE: Jack Frech, in charge of welfare for a poor Appalachian County in Ohio, says even less money will be available in times of recession when the welfare ranks inevitably grow. JACK FRECH: I think it, it will have that desired effect. It will save money. It will be at the expense of poor people. BROOKE GLADSTONE: In 2006, on Good Morning America. JACK FRECH: At this point in our county, there are almost no manufacturers left. The last three or four of them that offered, you know, relatively decent jobs with full benefits, they’re all gone. BROOKE GLADSTONE: In 2010, with Ann Curry on NBC Dateline. ANN CURRY: Athens County Welfare Director Jack Frech sees many young mothers like Crystal and says state and federal programs just don't help them enough. JACK FRECH: Our staff work their butts off to get these people every dime they can but at the end of the day we send them out of here knowing that it's very likely that the last couple of weeks of the month they’re going to have to go to a food pantry to get enough food to eat. ANN CURRY: You sound a bit angry about this. JACK FRECH: I'm very angry about this. BROOKE GLADSTONE: Like poverty, anger comes in flavors and, here, Jack’s is tinged with a kind of smoldering heartache. But back in ’93, on CBS's Eye to Eye With Connie Chung, the experience elicited something closer to outrage. CONNIE CHUNG: Listen to this. Soon one of every three babies in America will be born to an unwed mother. The tragedy is two out of three families headed by single mothers live in poverty. It's a crisis that’s pumping up the crime rate and choking the taxpayer. BROOKE GLADSTONE: The angle pursued in this segment was clearly shared by then-correspondent Bernard Goldberg, now conservative media critic and Fox News contributor. Here’s Goldberg in the piece. BERNARD GOLDBERG: Connie, imagine in America, with millions more poor people than we have now, you may not have to imagine long. BROOKE GLADSTONE: His piece featured author Charles Murray, ardent promoter of the idea that welfare leads to illegitimate children, which breeds more poverty and crime, that, in fact, the best course was to root out illegitimacy at its source. BERNARD GOLDBERG: There is a feeling that this plan to end welfare for single mothers is not just a half-baked crazy idea. JACK FRECH: I think it's a dangerous, frightening prospect. BERNARD GOLDBERG: Jack Frech is in charge of the welfare system in Athens County. JACK FRECH: We’re justifying what essentially, in my mind, is, is an immoral decision by saying that we’re doing this as a favor to them. Essentially, we would be taking millions and millions of dollars out of our poorest communities and we would see people suffer greatly. BERNARD GOLDBERG: But if they suffered greatly, that's precisely the point, they might not have these kids. JACK FRECH: Or they might starve to death, too. BROOKE GLADSTONE: That was Jack's worst media experience. His best, never to be repeated, had occurred nine years earlier in 1991, courtesy of ABC News. JACK FRECH: Apparently, there was some concern by Peter Jennings and his producers that they were doing a considerable amount of coverage of the problems that Kurdish children were having as a result of the war and there was a huge outpouring from people in this country wanting to help those people. They were concerned about this. PETER JENNINGS: The crisis for Kurdish children simply reminded us that 12 million American children have a daily crisis, as well, and that we should come and take a closer look at it. BROOKE GLADSTONE: Naturally, they chose Ohio. PETER JENNINGS: Our unusual concentration on children in poverty is going to last a couple of weeks, this week, here in Ohio because all the statistics and many of the situations match the rest of the country. BROOKE GLADSTONE: And, naturally, they called Jack Frech. JACK FRECH: Peter Jennings came down and, you know, he and I spent the day. We went out and walked around and they shot video of poor families, interviewed lots of people. They had correspondents in three or four locations in Ohio. And then throughout the week it would lead the newscast and it would be something that happened that day. PETER JENNINGS: When you get close to the poor, you recognize right away that very often the level of assistance which they get from government doesn't even lift them up to the legal poverty line, let alone above it, which seems to say that your congressmen and your state legislators have failed to recognize that children and families in poverty are a national disaster. In your name, they often argue about other priorities and welfare cheats, 12 million American children who cheat. JACK FRECH: The overwhelming response they got was that we don't believe this. The pictures you're showing us of these poor families and how they’re living, we don't believe this is happening in America and we’re horrified. So that was, you know, their attempt to shine a light on this. I mean, this was not all sweetness and light and, I mean, they showed a drug-addicted mom over, I think, at Dayton, someplace where her baby was in an incubator. They had, you know, some poor kid up in Columbus, like a 10-year-old boy, and he was taking responsibility for his siblings. And, you know, it was, I thought, excellent reporting about what was happening. And, you know, you’re, you’re convinced that if people only saw this, if they only knew, it would make a difference. So you can imagine my perspective on this when, you know, Peter Jennings, hearing him do a broadcast every night, literally saying the words that I had told him earlier that day about, you know, what benefits are, what problems are, what struggles are, you know, here’s the most, you know, famous renowned newscaster, at the time. BROOKE GLADSTONE: And a huge audience. JACK FRECH: A huge audience. BROOKE GLADSTONE: You must have thought, this is the moment. JACK FRECH: Yes, absolutely, and I was thrilled. I was 42 years old and I thought, pfft, that’s it, we’re done here, you know, we’ve solved poverty. JACK FRECH: And then nothing, nothing. BROOKE GLADSTONE: Actually, a report released around that time by Senator Jay Rockefeller did spur legislation on child health insurance but there was no effort to halt the decline in cash assistance to poor families, in Ohio and elsewhere, not then and certainly not now. that's what I've seen evolve over all of this, and that's how I've kind of seen the media reaction to this, or non-reaction, at this point. When Jennings and these folks did it, no one, I think, could have done it better but what they didn't understand is they were up against a population out there who did not want to hear this, who did not want to change their minds about poor people. So no amount of information they were giving them, no amount of cajoling, no amount of, this is the logical, the right thing to do, busting the myths, all that kind of stuff, none of that was gonna matter when basically you had a population that wanted to cling to those things because it justified them not sharing. BROOKE GLADSTONE: So how to tell the story? The playwright Berthold Brecht soundly rejected empathy. When he depicted injustice, he did not want us to say, yes, I felt like that too, it’s only natural, it’ll never change, the sufferings of this man appall me because they are inescapable. No, Brecht worked willfully to undermine our empathetic tears, so we could see more clearly, so instead we’d say, that’s not right, that’s unbelievable, it’s got to stop, the sufferings of this man appall me because they are unnecessary. As for me, I just figure if Jack Frech is still trying to shine a light, just because, and you listen, just because, and, if, as Matthew Desmond argues in Evicted, the inhuman trap that is poverty is not so great as it once was, then maybe sustaining our gaze does work, if we can discern that what is appalling is, in fact, unnecessary. Coming up, we bust one of the biggest myths about poverty, the one that says that with a little grit we can all go from rags to riches. This is On the Media.